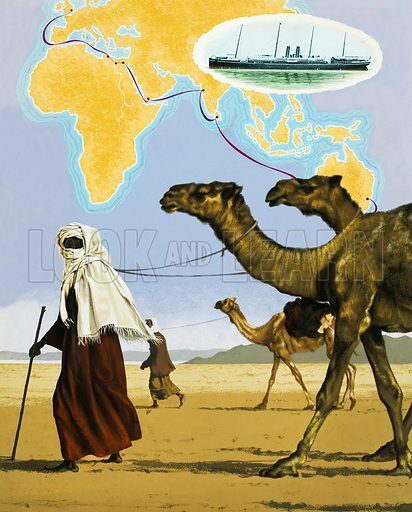 Camels delivering coal to Suez, with a map charting the route from Sydney to London on the P.&O. line. Inset: The Oceana, 1887. Original artwork for illustration on p5 of L&L no.456 (10 October 1970). Available worldwide for immediate download up to 3,587 x 4,461 pixels.